GENERAL SANTOS CITY, Jan 25 (PIA)-- Police intelligence operatives here have undergone a seminar on human rights to improve professionalism in the workplace and “in promoting and protecting the rights of every citizen” in its area of responsibility. According to Supt. 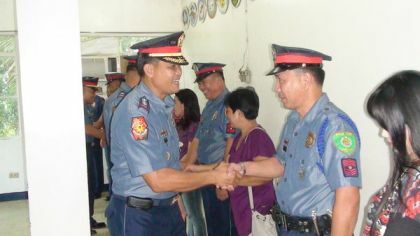 Resty Damaso, police public information officer, the activity has provided additional knowledge to all the members of the police regional office 12 toward improved performance and productivity. The seminar enable the police to have a clear view on the principles of human rights equipping them with the tool to enhance their skills in handling human rights-related activities and issues, he said. The police officer cited the universality of human rights saying the Philippine National Police (PNP) as prime protector of the people must “know how to apply international standards for human rights” at the local level.